Ahead of their appearance on a massive & what promises to be a pretty special closing day line up on the main stage at this year’s Shiiine On Weekender, we spoke to Jesus Jones lead singer Mike Jones and founding member lain Baker …. I will start with my own introduction to the music of Jesus Jones & buying the single “Info Freako”, a single that I thought sounded like it was from the future and so out there on it’s own sound wise at the time, recently listening back it sounds current and in sync with the DIY ethos of making music in the digital age – would you agree? Mike Edwards: I do agree that the ethos is very similar. However the ability as a musician to actually realise the goal of being able to complete your piece of music, from writing to finished recording, is far, far easier now, than it was then. Although I could come up with the samples, the drum sounds, we still had to go to a multitrack recording studio and use 2-inch tape to finish Info Freako. It’s so very much easier to realise on your own what was in your head these days, although in a way that kind of becomes limiting in itself: Too many choices is just as problematic as too few, I feel. Not that I’m looking for any four track Portastudios on eBay these days though. Do you remember any resistance back then to the idea of using samples and beats in guitar music the way you did? Mike Edwards: Oh god yes! In Britain there were obviously people were ready for the idea, which I think, is why we were successful quite early on, and why other bands working in similar areas to us became successful too. That’s not to say there weren’t traditionalists, purists, often in the press, who were deeply against the idea. In America it was often far more vitriolic and people seem to see it almost as a personal insult to put dance beats together with rock music. I was surprised to see it was around 17 years between Jesus Jones albums, what was the story in between the records – did you split up or pursue individual projects? Mike Edwards: I’m surprised to see that too! We never split up and while there have been a few other little side projects (if I can call them that without insulting anyone) we just weren’t really doing anything that put our heads above the parapet. We’d play the occasional date, sometimes here in the UK, and sometimes abroad, but there wasn’t really much impetus behind it all until 2 or 3 years ago when it just seemed that everything aligned and we regained our enthusiasm. Before that we were just getting on with life, which is passing at an accelerating rate these days. That’s why I’m surprised at 17 years! Jesus Jones are now back playing live with the original line up and more importantly recording new music, something I am a fan of myself and find interesting when a bands past & present collide rather than being full on nostalgia, was this something you needed to do as a band? Mike Edwards: No we didn’t need to, we just really wanted to. I think we’re like most bands in that only ever playing your old stuff really tries the patience. Your option is to really try the patience of your audience and play only new stuff. Playing new material, or rather writing and recording it, is what gives me the enthusiasm to keep all aspects of the band going. When we play live it doesn’t matter how many times we’ve trotted out Never Enough, it’s still exciting. But we need a bit of a buzz before rehearsals to go through songs that were written when Margaret Thatcher was still Prime Minister. Having new material really helps with that. I have been following your story with the pledge music campaign & what a bad example of today’s music model it has been, can we expect more new Jesus Jones music released in the future still, another way? Iain Baker: Yeah, Pledge has been a real nightmare. We released “Passages”, and that went fine, but when it came to “Voyages”, the companion album – we got all of the CD’s sent out, and then asked for the money our fans had pledged. Nothing. They owe us thousands, which means that now, the bills are coming in, and we haven’t got the funds to cover them. It means we’ll have to work harder, this year – just to cover all of those losses. It’s not terminal, for a band like us – we’ll have opportunities to play, people will want to book us, and we can try and earn money back. But the whole process is a lot tougher for up and coming bands – who don’t have those same opportunities. If they’re owed loads of money, they have no way to pay it back, at all. I think some bands will go under, as a result – and that’s such a shame. It makes us furious – if we’re honest. But if we have to do it again – we’ll definitely look again at crowd funding, we’ll just have to find alternative sites. 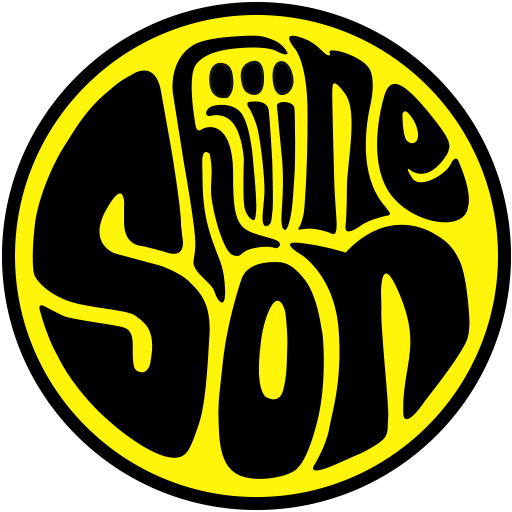 Are you looking forward to playing Shiiine, a brilliant closing day line up with a few old touring partners? Yes, I genuinely am. The last time we played there it was superb. As well as playing a blinder of show there were so many faces from back in a day, and the amazing thing was they’ve all aged and I haven’t.